Firefighting efforts continue to go well this afternoon at #SunshineFire. 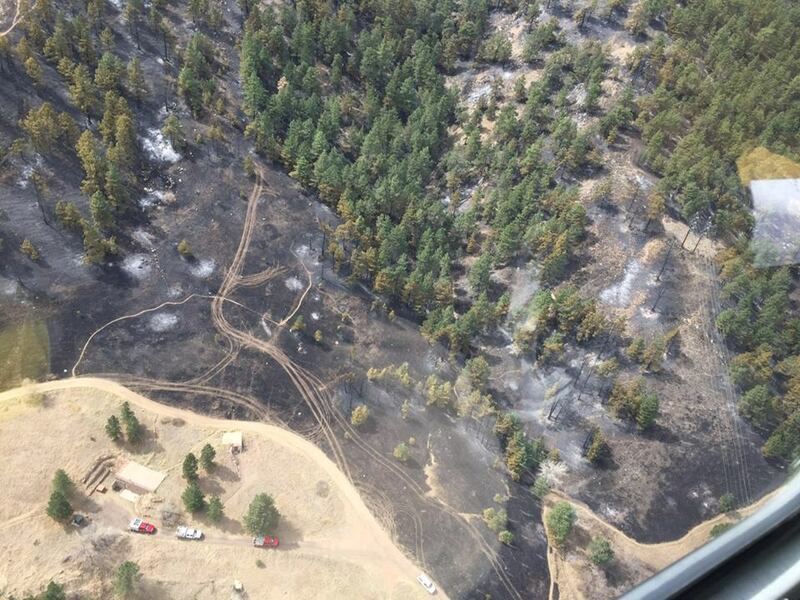 Below are some pictures from earlier this afternoon from a reconnaissance flight over the fire by incident managers. In the pictures you’ll be able to see the fire retardant lines that were dropped by the fixed-wing aircraft during yesterday’s suppression efforts, as well as the the burn scar area.